Most soil and sediment quality guidelines do not distinguish among the various forms of metals, why insoluble, nonreactive and nonbioavailable forms are erroneously deemed as hazardous as highly soluble, reactive and toxic forms (see chapter 5). We do also know that soil physico-chemical characteristics influence metal bioavailability and toxicity due to interactions with metals, and a direct impact on the selected test method. It seems reasonable that to ensure adequate environmental protection at the lowest cost, trace metal limits for soils aiming at minimising ecotoxicological risk should be based on the soil metal pool that is actually posing a threat to organisms (plants/crops, microorganisms, soil invertebrates), i.e. the bioavailable fraction. However, although large efforts have been devoted to this problem for a long period of time, scientists have still not been able to provide simple, chemical-analytical procedures by which the bioavailable fraction of trace metals in soils can be determined. Therefore, we are still left with a situation where a complicated surrogate procedure must be used to approximate the concentration of bioavailable metal. The issue is even more complicated by the fact that the fraction being bioavailable for a certain plant species may not necessarily be equivalent to what is bioavailable for a certain invertebrate, because uptake mechanisms differ between organism groups and species. For example, for copper, it has been shown that the fraction dissolved in the soil solution is not equivalent with the bioavailable fraction, because most of the copper in solution is associated with various soluble inorganic and organic complexes which do not penetrate organism membranes. In some studies it has been found that >98% of the soluble copper in soil occurs in the form of organic complexes (Landner et al., 2000). It is currently widely believed that the most reliable predictor of the bioavailable amount of copper in a soil sample is the free cupric ion activity. This can be theoretically calculated, based on knowledge about the total concentration of soil copper and the various properties of the soil that influence the equilibrium concentration of free cupric ions. As an alternative, the activity of cupric ions can be measured by means of a cupric-ion-specific electrode. The main drawback of using the free metal ion activity as a predictor of bioavailable metal in a soil is that it describes a static situation, while trace metal uptake by organisms is a dynamic process. Each biotic species can be considered as one of the soil phases next to the particle phase and the liquid phase of the soil itself. Equilibration processes are assumed to take place between all phases present, and since the equilibration period probably is relatively long for the biotic phase compared to most physico-chemical processes, the time-dependent, dynamic aspect of trace metal bioavailability must be taken into account. In general, assessing the risk of metals is mainly based on laboratory toxicity data with various test species, from where a species sensitivity distribution (SSD) is fitted and a "hazardous concentration" (e.g. HC5, which means a concentration hazardous for 5% of test organisms) and "no effect concentration" (e.g. PNEC) for the ecosystem is derived. But terrestrial toxicity varies not only between biological species but also with soil characteristics, which control metal bioavailability. Lock and Janssen (2001) have stressed that without accounting for changes in bioavailability there is a risk for under- or overestimation, which is especially true for essential metals, like zinc and copper, where not only toxicity but also deficiency may occur (cf. section 7.4). Lock and Janssen (2002) also critisized that current standard chronic terrestrial toxicity tests with invertebrates do not consider effects at all life stages (multi-generation toxicity), which might mean that the toxicity of the tested metal is likely to be underestimated. It has repeatedly been found that laboratory bioassays with soil organisms yield results that indicate higher apparent toxicity of trace metals than what is found in field studies. "Critical" metal concentrations (e.g. lowest observed effect levels to soil microorganisms) have been found to be about 5 times higher (i.e. lower toxicity) when determined in field studies than when determined in laboratory bioassays (Witter, 1992). This is probably due to the fact that equilibration of the trace metal between the different phases of the soil has not been reached in the often short-term exposures being used in laboratory bioassays. The same lack of full equilibration is often observed in experiments, where authentic soils are freshly spiked with trace metals in the laboratory. Therefore, long-term field experiments or follow-up studies of soils that have been slowly contaminated in the field over long periods of time may be necessary to estimate the real "critical" concentrations or toxic thresholds of trace metals in soils. In spite of this, most soil quality criteria are based on ecotoxicicty tests with freshly spiked soils. These quality values may overlap with background concentrations due to the fact that both background and toxicity data are given as total, not as bioavailable concentration. There is usually a lower toxicity due to aging effects resulting, e.g., in the fixation of anthropogenic metals by clay and metal oxyhydroxides. We still lack a profound knowledge about the factors and processes governing aging effects (cf. section 5.5.6). 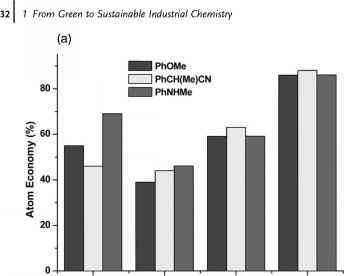 Lock and Janssen (2001) further discuss the role of the most relevant bioavailability-modifying parameters in soils, such as adsorption phases (clay, organic matter, metal oxyhydroxides), the amount of available sorption sites (CEC), pH and competitive sorbed ions. Concerning the porewater hypothesis or the equilibrium partitioning concept, which is based on the assumption that the porewater concentration and sorption behaviour of a metal are most relevant, it is argued that porewater is relevant only when this really is the main uptake route to biota. Recently, it has been clearly demonstrated that the time of contact between soil and trace metal is a critical factor in determining bioavailability. The longer the metal is in contact with the soil, the greater the strength of bond formed or the more stable the solid phase formed (McLaughlin, 2001). Both adsorption and precipitation reactions exhibit time-dependent reaction rates. For a metal that has been adsorbed, this increasing strength of bond may be due to a rearrangement of the metal on the surface of the solid phase, e.g. diffusion into micropores on the surface of the soil mineral or organic material. Precipitation processses are most important where metal loadings are high, or where counter ion concentrations are high, e.g. phosphate, carbonate. A second precipitation process that may lead to reduced bioavailability of metals is where new solid phases form in soil and occlude available metal, thereby removing it from the bioavailable pool. Finally, there is the possibility that metals become more tightly bound in organic materials, either through diffusion into organic molecules or through occlusion in the organic molecule. Irrespective of mechanism, the end result is that the availability of the metal ion decreases with time of contact with the soil (McLaughlin, 2001, Smolders et al., 2003). There is an increasing body of evidence suggesting that soil microorganisms are far more sensitive to trace metal stress than soil invertebrates or plants growing on the same soils. Moreover, when expressing toxicity threshold values for soil microorganisms or soil microbial processes, it is not as evident as for phytotoxicity (or for invertebrate toxicity) that the free ion activity (or otherwise, the directly bioavailable fraction) should be the primary basis for the assessment, because microorganisms, especially the heterotrophic ones (and their consumers), may - theoretically - be exposed to various forms of adsorbed and organically complexed trace metals as well. However, empirical studies of Cu toxicity in soil usually show a good correlation between free Cu+ activity and toxicity to sensitive microbial processes (see section 7.3.2.1).